This piece is being started as the sun is beginning to rise above our neighbourhood mountains and will be published in time for the exact moment of the winter solstice in the northern hemisphere 21 December 2016, 10:44 UTC (11:44 CET for us). 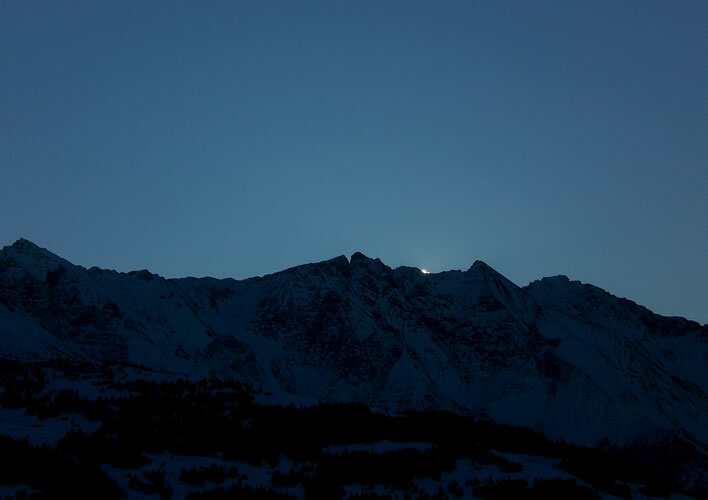 09:14 CET, the start of dawn in the Swiss Alps on the winter solstice in 2007. Image: ©FoS. +4 seconds, +8 seconds. Image: ©FoS. Well, if you like, but in our lives of trivia it is restorative at appropriate times to consider the silent operation of celestial mechanics, even if only at the level of our solar system, in which we specks hurtle noiselessly around that great clockwork. We count for nothing in this mechanism. Apart from the fact that we can understand it in some superficial way, its larger meaning is utterly obscure in the night of our limited intellects. Today should really also be Saint Lucy's day. It was at one time her day in the Julian Calendar, when this day of the winter solstice was labelled 13 December. When the Gregorian calendar was introduced her day kept its date, 13 December, but was detached from the solstice, which now takes place (usually) on 21 December, thus tearing the symbolic threads that linked a martyr we call Lucy, about whom we know nothing beyond her name, a festival of light derived from her name and the darkness of the winter solstice. For the duration of this briefest of days let us on this blog bind the torn threads together again. Did I write that the sun was beginning to rise? Idiot. 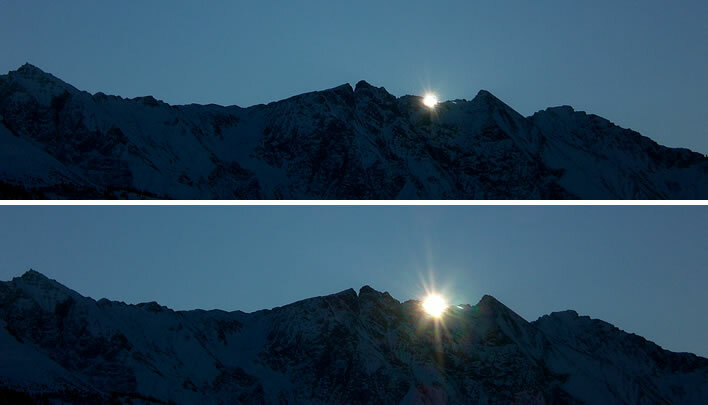 We speak still of 'sunrise' and 'sunset'. We do so as if the Copernican model of the solar system had not replaced, ineradicably, the Ptolemaic. George Steiner, Real Presences, Faber and Faber, London, 1989, p.3.